BATTLE CREEK, MICH. – The Battle Creek Bombers announced coaching staff changes today for the 2018 season. The Bombers are excited to welcome Josh Rebandt as Field Manager and Mike Ruppenthal as Pitching Coach. Rebandt has served as the Pitching Coach for Davenport University since 2016. Prior to that he was with Olivet Nazarene University where he served as pitching coach and recruiting coordinator for the Tigers. ONU captured the Chicagoland Collegiate Athletic Conference regular season championship in 2016 and won their most games (39-17) since 2005. The pitching staff had the 10th best earned run average in NAIA with 3.11 under Rebandt’s guidance. The staff earned run average was also the lowest by ONU since 2005. He has experience in the Northwoods League, serving as pitching coach for the Lakeshore Chinooks. 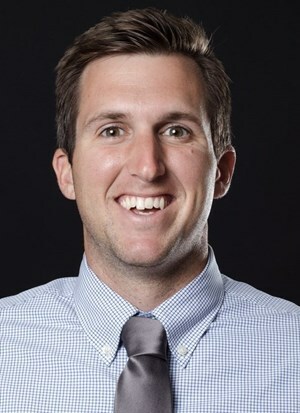 Rebandt played collegiately for one year at Adrian College where he experienced the NCAA Division III College World Series in 2008 and then played and captained the team at Clearwater Christian College for his final three years. In 2011, CCC was the NCCAA National Runner-Up. Upon graduation and after a coaching change, Rebandt was thrust into the role of Head Coach for his alma mater, where he gained on-the-job training from 2011-2014. He holds a bachelor’s degree from Clearwater Christian College and a master’s degree from Olivet Nazarene. 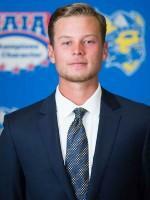 Joining Rebandt this summer is Michael Ruppenthal of Bethany College. He was hired in October 2017 as assistant baseball coach. Ruppenthal recently graduated from NAIA Southeastern University in Lakeland, Florida with a Bachelor’s Degree in Finance. While at Southeastern, Ruppenthal was a four-year letterman on the baseball team as a pitcher. Ruppenthal was also involved at Southeastern University as a member of the National Honor Society. He was also a recipient of Southeastern University President’s Scholarship from 2012-2016. A native of Bloomfield, MI., Ruppenthal has previous coaching experience with Doyle Baseball as an instructor. While at Doyle, Ruppenthal was in charge of training kids aged 8-18 teaching fundamentals, mechanics, and techniques as well as strength and conditioning. Most recently, Ruppenthal was a throwing instructor at the Florida Baseball Ranch training pitchers to gain velocity as well as throw without pain. He also has work experience at ATI Physical Therapy and Excel Rehabilitation Services in Bloomfield, MI. The Battle Creek Bombers are a member of the finest developmental league for elite college baseball players, the Northwoods League. Entering its 25th anniversary season, the Northwoods League is the largest organized baseball league in the world with 20 teams, drawing significantly more fans, in a friendly ballpark experience, than any league of its kind. A valuable training ground for coaches, umpires and front office staff, more than 185 former Northwoods League players have advanced to Major League Baseball, including three-time Cy Young Award winner Max Scherzer (WAS), two-time World Series Champions Ben Zobrist (CHC) and Brandon Crawford (SFG) and MLB All-Stars Chris Sale (BOS), Jordan Zimmermann (DET) and Curtis Granderson (TOR). All league games are viewable live via the Northwoods League portal. For more information, visit www.battlecreekbombers.com or download the new Northwoods League Mobile App on the Apple App Store or on Google Play and set the Bombers as your favorite team.